Who doesn’t want to be super, or at least a better forecaster? 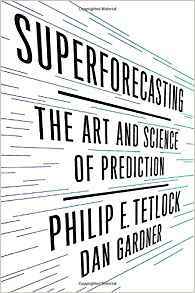 Tetlock explains what makes some people and teams terrific at forecasting, and suggests that we can all learn to be better at it. 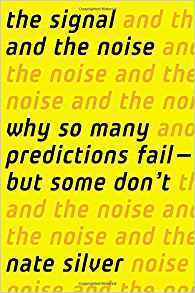 For example, we are pretty bad at keeping score, especially over long periods of time – this leads to honoring pundits who “are very good at appearing to go out on a limb without actually doing so.” Beware, this book probably will not make you a superforecaster. But it will help you to understand why most of us aren’t, and to think about how we might incentivize better, healthier, less polarized debate. Kahneman, Tversky, and Lewis, come on! 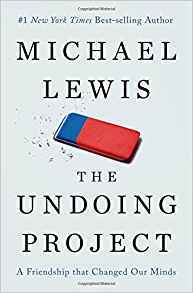 Like many investors, I am already tremendously interested in Kahneman and Tversky’s work, and also tremendously interested in the nature of effective partnerships, and also tremendously interested in just about everything Michael Lewis has written. In other words, trifecta. 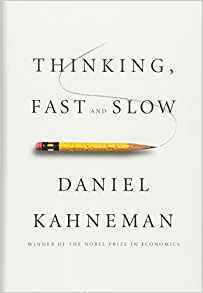 What I admire most about Kahneman’s work (and writing) is that he can so convincingly show our lack of awareness, without making us feel too stupid. Just as importantly, he is able to explain our irrationality quite – well, rationally - and coherently, framing the discussion around System 1 (fast/unconscious) and System 2 (slow/conscious) – two systems that are always clashing and combining in our own minds, though both are necessary and valuable. I have recently come to think of Kahneman as a kind of “Trojan horse”, because many of the concepts he frames scientifically are the same as those embraced by spiritual leaders for centuries – but he speaks a different language, science - and so is able to be heard by a different audience. therwise known as “the election god”, Silver embraces a Bayesian approach to analysis. To his credit, I think I know what that means now… it uses big long term data sets and interprets new data relative to that historical base, incrementally changing probabilities based on the new inputs. Most traditional statistical analysis takes a frozen data set and manipulates it, but Silver’s approach accounts for BOTH depth of history AND incorporation of new information. I’m not quite finished with this one yet, but like Mauboussin’s books this is full of cool case studies, which make the more abstract principles a lot easier to comprehend. 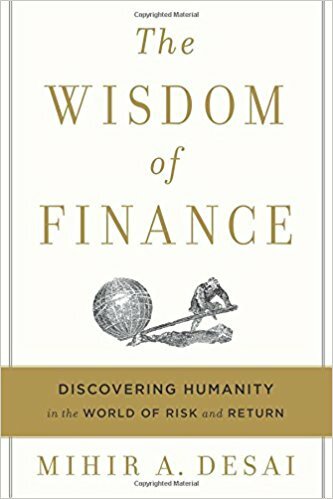 This book’s explicit goal is “to humanize finance by bridging the divide between finance and literature, history, philosophy, movies, and religion.” Anyone who can comment on the risk management philosophy of Elizabeth Bennet is automatically one of my favorite people on earth. 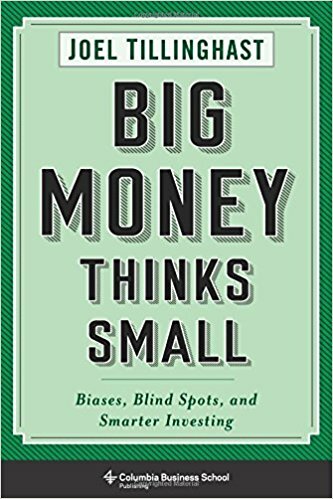 Joel is a true long-term investor, and his book brings wisdom to its purpose: to make the average reader an above-average investor. He thinks of portfolio management as gardening, not manufacturing – an approach that benefits investments of time and attention as much as investments of dollars and euros.